This week we witnessed a 59% clearance rate which is a slight improvement from 58% last week. Over the weekend there were 554 auctions held with 278 selling at auction, 47 selling before auction and in addition to this 125 private sales. The sentiment appears to be starting to shift with some buyers confident to push a little harder at auction and abandoning the hope of a pass in. Instead, we are seeing more confident bidding and buyers even attending some auctions with budgets well in excess of the agents quoted range. The fall out from the Royal Commission seems to be yesterday’s news, with elections looming and the uncertainty of the Labour Government coming into power, buyers are taking advantage of the tail end of this cycle. We are hoping that this will encourage vendors to put their property on the market as high quality stock is still on the scarce side. David Easterbrook and the team at Elite. A heritage listed property comprising of two principle rooms and then a lean-to at the rear, had been converted over the years to contain another living area, meals and kitchen over looking a green and private courtyard. Buyers did not use the agents quote range as any indication of value with the property being quoted at $1,150,000 to $1,250,000 prior to auction. 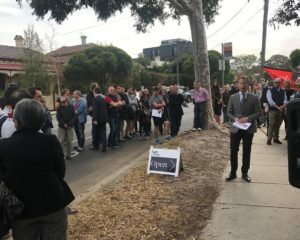 The property was declared on the market at $1,250,000 but sold at $1,350,000 with 3 active bidders and more in the crowd that did not have the opportunity to raise their hand. This very well located 3 bedroom, 2 bathroom villa unit at the rear of only 2 was hotly contested on Saturday by downsizers and first home buyers. A large crowd braved the rain to watch 3 bidders fight it out to secure this popular piece of real estate. 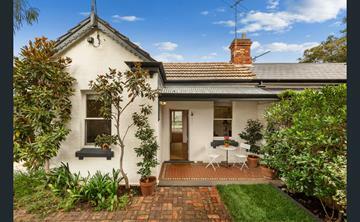 There were many buyers wanting to bid but didn’t get a chance to with the strong bidding. 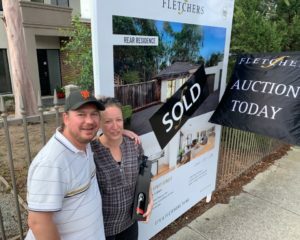 The bidding opened conservatively at $800,000 however in the end it was a Buyers Agent who secured the keys for their client for $952,500. 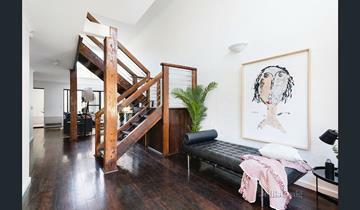 A two bedroom townhouse located at the rear of development in Smith St. Collingwood was popular with first home buyers. 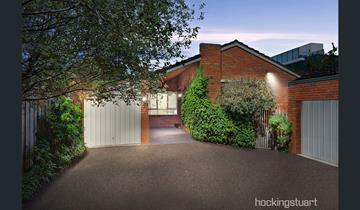 The property does not have a lot of outdoor living, however, that isn’t unusual for Collingwood. We are seeing many first home buyers paying around $1,000,000 for their first properties rather than keeping under the $750,000 threshold. This is due to first home buyers wanting to purchase somewhere well located and convenient for their lifestyle which comes with a higher price tag.